Fares to rise by 3.2% in January, ScotRail puts Class 385s into passenger service and receives first refurbished HST, 11 Class 50s for SVR Golden Jubilee gala, GWR introduces Class 802s on Penzance route, Locomotive Services Ltd buys HSTs and Class 90s for charter work. 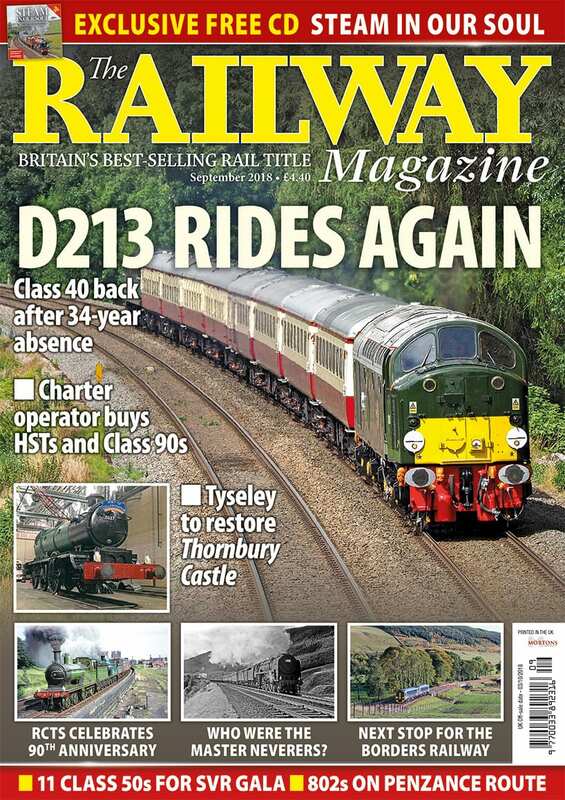 Replica ‘Saint’ breaks cover, Tyseley to restore Thornbury Castle, four ‘Castles’ and Bahamas for Tyseley open day, Green BR ‘2MT’ makes first moves at KWVR, Bluebell ‘5MT’ set for West Somerset gala, ‘Sutherland’ to visit Swanage. ‘Euro 66’ arrives in UK for repairs, TPE Class 802/2 and Mk5s on test, October 28 launch for new Caledonian Sleeper stock, fresh look for West Midlands units, first Marston Vale Class 230 unveiled, Class 60s start work with GBRf. Multiple Aspects: With Lord Berkeley. Crossword & Where Is It? Practice & Performance looks at a selection of recent operations, including loco-hauled trains in northern England and GWR’s short-formed ‘Castle’ HSTs. Ashley Butlin reports on proposals to build on the success of the reopened Edinburgh-Tweedbank line with further extensions and service improvements. Nicola Fox meets John Bate, an octogenarian engineer who has spent most of his adult life volunteering at the Talyllyn Railway. 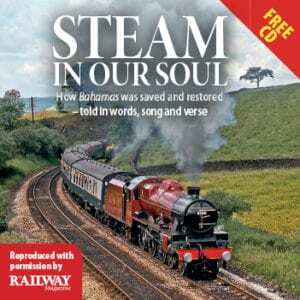 As we mark the 50th anniversary of the end of BR steam, Chris Milner looks back at a group of photographers whose exploits became legendary at the time – the Master Neverers. The Railway Correspondence and Travel Society (RCTS) is celebrating its 90th anniversary – Rodney Lissenden and Paul Chancellor look back at the society’s early days, and how it has adapted to a changing hobby. Cliff Thomas reports from deepest Staffordshire and the third instalment of an event commemorating the role played by narrow gauge railways during the First World War. INSET 2: Behind the legend of the ‘Master Neverers’. INSET 3: Building on the success of the Borders Railway reopening. The October 2018 issue of The RM will be on sale on October 3 – order your copy now!